We understand that no other single system in your home plays a larger role in your comfort than your HVAC system. 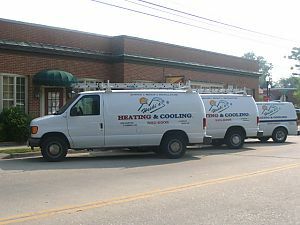 We specialize in comfortable, cost-effective heating solutions including furnaces, boilers and heat pumps. Call us to evaluate the efficiency of your systems, we can offer cost savings solutions. We can help you maintain and repair the system you have, or replace it completely. Our NATE-certified technicians can provide routine periodic inspections, licensed warranty and post-warranty repairs and provide 24 hour emergency response. Does a 30% decrease in your energy bill interest you? Contact us to find out how new innovations in the HVAC industry can help with your heating and cooling needs.